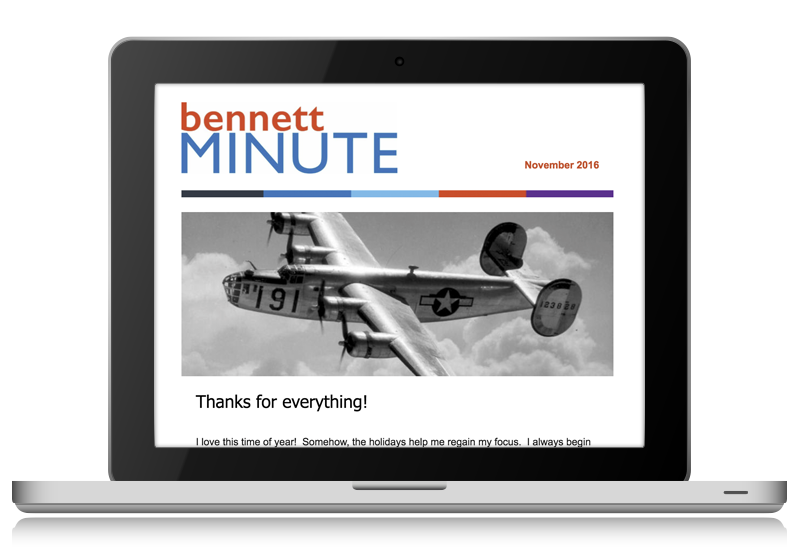 Bennett Minute is an email blast that is published six times a year by marketers for marketers. It’s focused on marketing minds and idea people in general. It’s a quick read with updates on technology, tools and how the best marketing minds use them to further their story. Subscriptions are free and come with no strings attached. You can cancel at any time by selecting “unsubscribe” at the bottom of any message. If you would like to receive “Bennett Minute” please complete the form to the right and select your preferences. Sign up to get interesting news and updates delivered to your inbox. You won't get spammed and your name will never be shared. We'll just share cool stuff.